WSDC 2010 arriving soon – Please read! Everything is now up: HPJs, MSRs & Semi Finals! Three or four clips are not complete in the semis, sorry about that. Thanks to Tangi, Alain and Pascal for filming the Semis! just on observation……listen to chris mcnicholl's rolls, does anyone else hear a loose snare? I think it's the echo in the room. (Unless everyone has a loose snare). Eli, my man, nice ensemble and melodic playing along with Andrea, with just enough dynamics for one piper, not over-powering the melodic line. This, especially since you guys just met and didn't have a chance to rehearse until the day before!! That's great musicianship from both!! Really enjoyed it. A very strong field and well done to all. Thats the first ive heard The Little Cascade in reel in an MSR…interesting. You could borrow my hat any time you'd like. It's very stylish…Balmorals are making a big comeback. 😀 i prefered the tweed flat cap look scottish power were sporting at cowal!! now they were very upper class! it might catch on again…..78ths were the last band i remember wearing balmorals. but why sky blue? does anybody know who wrote the pipe tune to the fiddlers trip? the one chris and barry played??? Does anyone know how Eric Ward's Hornpipe is called? 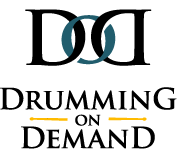 Looking for a drum score?